NYC Mayor Michael Bloomberg speaking at Regional Planning Association annual meeting. Photo by Ethan Arpi. In developing the climate-change strategies that underpin PlanNYC, we drew on the experiences of Berlin for our renewable-energy and green-roof policies; Hong Kong, Shanghai and Delhi for our innovative transit improvements; Copenhagen for our pedestrian and cycling upgrades; Chicagoand Los Angeles for our plan to plant 1m more trees; Amsterdam and Tokyo for our transit-oriented development policies; and Bogotá for our plans for Bus Rapid Transit. 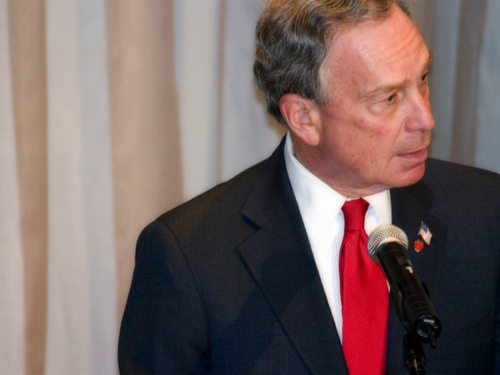 There’s an interesting story behind many of Bloomberg’s proposals; they come from cities in the developing world, places where municipal funds are hard to come by so every project must be constructed carefully for it to succeed. Another interesting point is that city leaders are increasingly communicating with each other, exchanging ideas and success so that they can be replicated throughout the world.